SOLD BEACHSIDE. PEACEFUL. INVESTORS DREAM. Life's a beach at this seaside condo in the heart of White Rock. Featuring two bedrooms and two baths, this unit has been updated with fresh paint and new carpets in the bedrooms. Two skylights bathe the space in natural light. 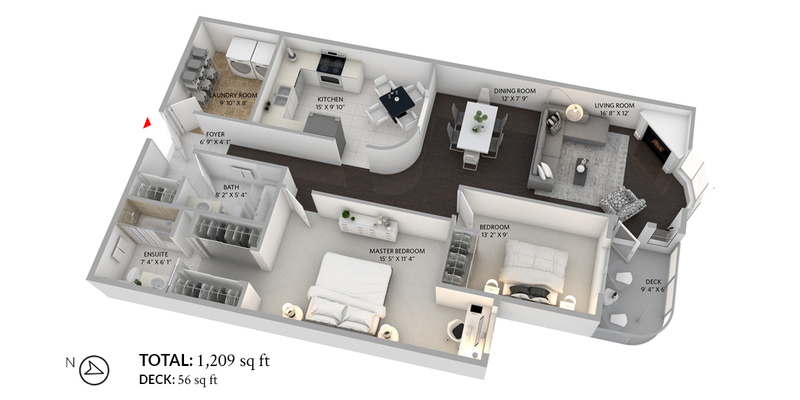 Spacious and with plenty of room, practical elements such as the large in-suite laundry/storage area as well as a parking stall and unlimited rentals will make your life worry free. Situated on the quiet side of the building, you'll be able to enjoy ocean summer breezes from your patio. With a prime location in the heart of White Rock's pier and Promenade district, you'll find endless action just steps from your door. Live the dream in this beachside abode today.